Storm Damage Restoration - Baker Roofing & Construction Inc.
Hail and strong winds often do more damage than just to the roof. However, many roofing contractors do not do full restorations. Instead, they will only repair your roof and leave you to find contractors to fix your fence, windows, siding, and gutters. 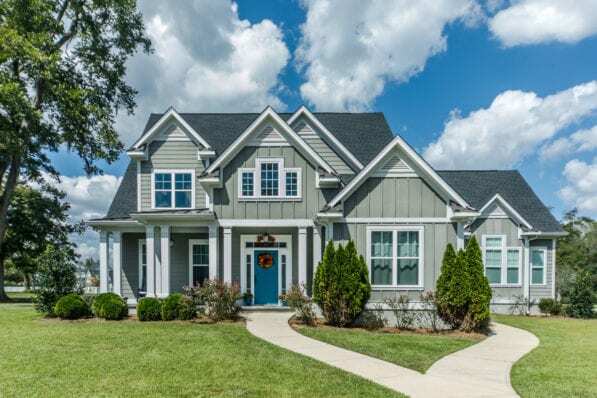 Baker Roofing & Construction is you full-service construction company who specializes in working insurance claims to complete your homes restoration. With one call to Baker Roofing, all your storm damage restoration needs are met. Hail, wind, and water are the main causes of storm damage. Each of these creates unique damage that should be addressed differently. A proper storm damage inspection needs to be performed to ensure that all the key areas of your exterior have been inspected for damages caused by all these factors. Let’s looks at how these individual elements can affect your home. 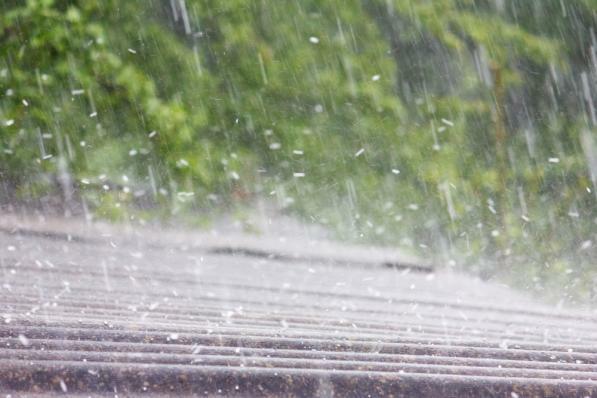 Hail does not only cause damage to your roof for potential leaks in the future. Rather, it often creates much more havoc for the homeowner. Fences, siding, garage doors, gutters and windows all can be damaged from a hail storm. Even small hail can cause damage if the winds are strong. 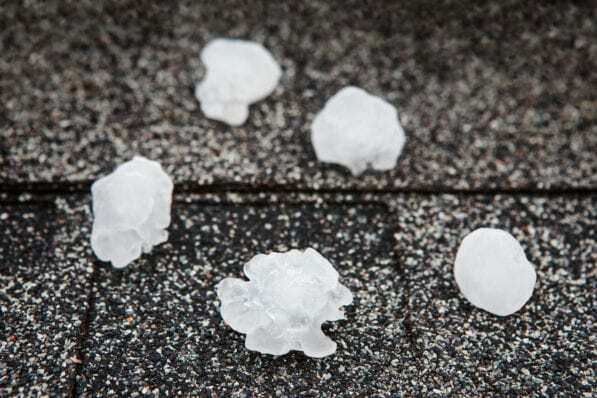 It is important to always inspect your roof and exterior of your home after a hail event for any damage. A proactive approach to storm damage is much better than reacting to the potential leaks and water damage that could occur. We all know wind can be very powerful and can cause extreme damage, like with hurricanes and tornados. However, even straight-line winds of 50-60 mph can cause major damage. During a thunderstorm, winds can even exceed 100 mph and commonly exceed 60 mph. This results in blown off or bent shingles, knocked down fences, and even increases hail damage potential. Water damage is typically easy to see as stains on your ceiling, but it can show up as mold also. However, these spots and mold are often a symptom of a greater problem. Roof leaks, chimney flashing, pipe flashing, and rotted siding are common reasons that allow water inside the home and cause damage. If there are any signs of water damage inside the home, it is imperative that your home has a professional inspection. The source needs to be determined and corrected before it leads to major damage. Neglected water damage not only could cause mold to grow but additionally invites insect damage from carpenter ants and termites. A small leak repair could end up being a large-scale structural repair. Baker Roofing & Construction can assist you in all your storm damage repairs to your home, not just to the roof. We work directly with you throughout the insurance claim process. We will meet the adjuster to make sure that all the damage is discovered. Furthermore, we will supplement for any additional repairs needed that may arise during the restoration. Here are just a few of the services we provide. Wood fences take a beating during thunderstorms and hail. The evidence is everywhere after storms. Such as broken poles and completely blown over fences or just spotted from hail impacts and wavy. Baker Roofing has your solution from full fence replacements to resetting poles, pressure washing and staining. You can even choose to upgrade your fence with an electric gate or make your fence more private with a board on board style. Baker Roofing is a builder of fine custom fences and gates; we can provide you with the correct solution for you, whether it is a repair, replacement, or a full custom fence. Siding damage is common with storms that have heavy winds and hail. This wind-driven hail slams into the siding. Depending on the material this could result in cracks, dents, or holes. At the very least, it could cause paint damage and leave your siding vulnerable. Baker Roofing professionals are experienced installers of all types of siding. We typically recommend the sustainable fiber cement board, nonetheless, we can repair and replace wood, vinyl, and engineered panels. We will replace or repair the damaged siding, caulk and paint to fully restore it back to original condition. Large hail can definitely break or crack windows, sometimes even damaging the frame. But even small hail can cause damage to the window screens. Baker Roofing offers replacement windows, window screens and can repair cracked and broken glass. We offer a full line of replacement window options in the case your home can use an upgrade. When leaks go unnoticed or a storm causes major damage, the interior of your home can really suffer. Fortunately, Baker Roofing & Construction specializes in full restorations. 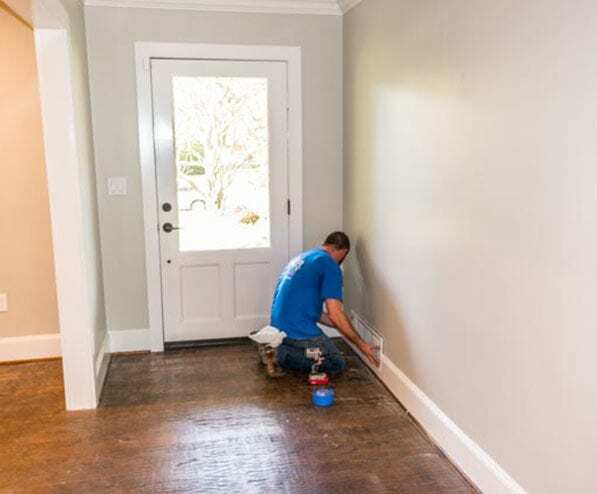 We have expert floor installers, carpenters and painters. We can prime and paint your small water stain or completely remodel your kitchen. Regardless of the scope of the interior repairs, you can be assured Baker Roofing & Construction will restore or remodel to your satisfaction. We at Baker Roofing & Construction know you have many options when it comes to roofers. And after a storm, they all will be knocking at your door. But Baker Roofing & Construction is “More than Just a Roofing Company” we are a full-scale sustainable roofing and construction company. We are your one and only call. We are the last call you will ever need to make to a contracting company. 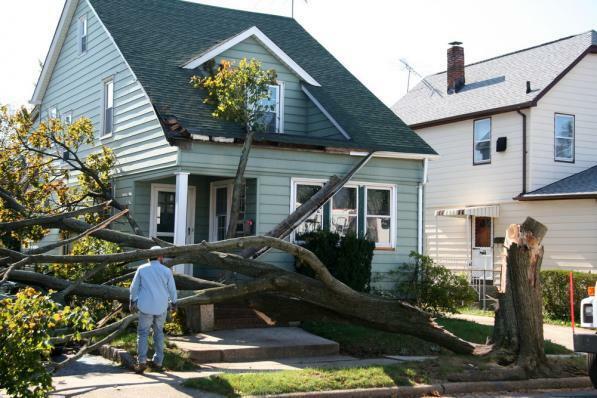 We are your go-to company for all your storm damage restoration needs.